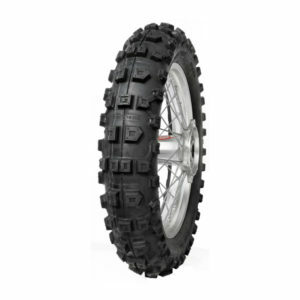 GOP4603 – Trial Hybrid is a Tube Type tire designed for Freeriding and mountain riding. Compared to the GT 256 Trialera it has a new knob design and a compound that guarantees greater durability. 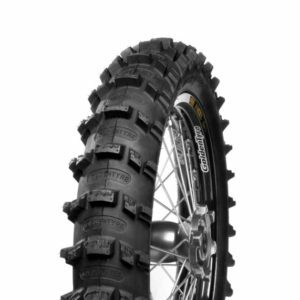 It combines the traction qualities of a Trial tire with the self-cleaning & braking features found in a Enduro tire. The use of Golden Tyre’s 120/80-18 Mousse is recommended with the Hybrid as it will insure grip in any terrain without risking punctures or cuts that would normally end your day. 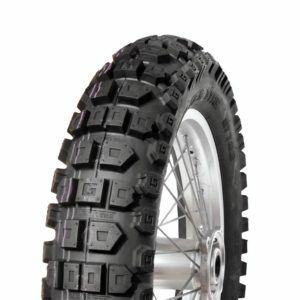 Trial Hybrid is a Tube Type tire designed for free-riding and mountain riding. 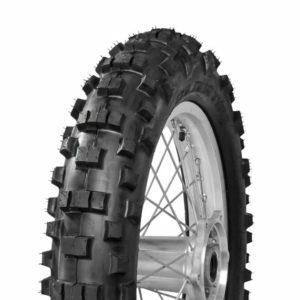 Compared to the GT 256 Trialera it has a new knob design and a compound that guarantees greater durability. 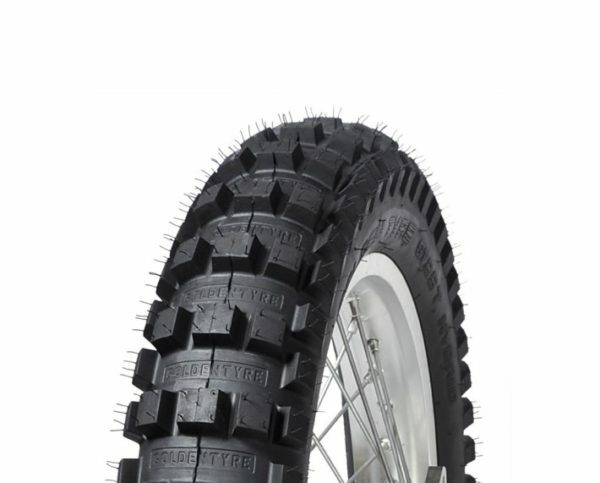 It combines the traction qualities of a Trial tire with the self-cleaning & braking features found in a Enduro tire. The use of Golden Tyre’s 120/80-18 Mousse is recommended with the Hybrid as it will insure grip in any terrain without risking punctures or cuts that would normally end your day.